Spigariello, also known as Cavolo Broccolo a Getti di Napoli, is a beautiful leafy green that produces abundant ringlets or ribbons of dark leaves that you can steam, saute, toss into pasta or put on top of a pizza. 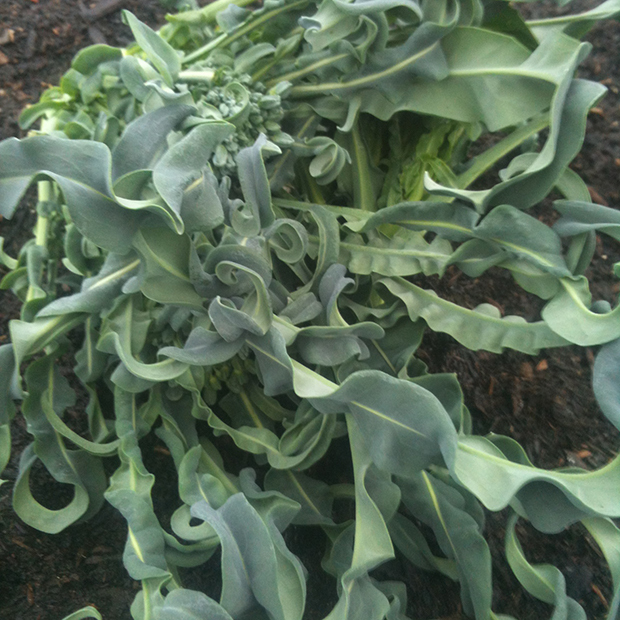 This is an old Italian heirloom variety which has a long sowing period and can be cut over and over again as the ringlets re-sprout before eventually producing a white central flower head a bit like sprouting broccoli. We sow our first crop in April and harvest from August onwards and another sowing in September in the polytunnel means more greens over the winter and an abundance of wavy ringlets as we approach spring. The plant gets its name from the fountains of leaves that jet out of the central stem ‘Getti’ means fountain in Italian I believe. Because the leaves are so unusual and decorative as well as tasty this looks amazing in so many dishes. 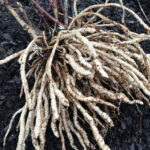 It is nice to add another variety to your autumn/winter harvest. Next post: Tuberous Chervil – what a find!